A Northumberland firm that specialises in a niche area of motoring and insurance law is in the fast lane towards becoming a UK-wide operator after exiting from a six-figure investment from the Finance For Business North East Growth Fund. 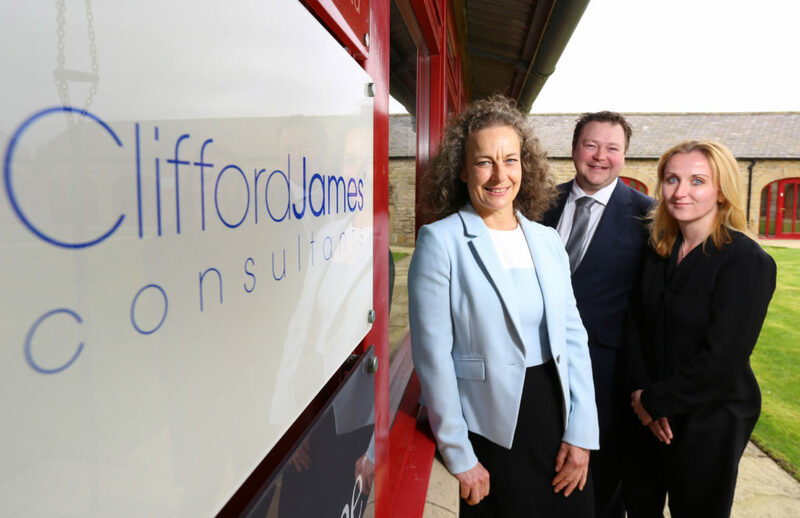 Clifford James Consultants Ltd (CJC) is one of the UK’s market leaders in the provision of legal services around the diminution in value of motor vehicles, which is the loss in value of a vehicle following a road traffic accident. The Stocksfield-based business worked with regional fund management firm NEL Fund Managers to secure the Growth Fund investment in 2014, since when it has almost doubled the size of its now 12-strong team and established its practices as the accepted standard for its industry. The investment capital was used by CJC to upgrade its operational systems, and recruit and train the staff needed to deliver its business plan – and having now exited the investment, the management team is planning to use the platform it has created to make the firm a truly national player. CJC works with a wide range of blue-chip companies, private fleet owners, vehicle leasing firms and insurance companies, including Lex Autolease, BT and BMW-owned business mobility specialist Alphabet. It set up its specialist diminution claim service in 2006, and acts for both clients making a diminution claim, as well as insurance companies looking to defend diminution cases with no merit. Stewart Fairhurst, managing director at Clifford James Consultants, says: “It’s not always easy for smaller firms that have the potential to grow to find the capital that they need to enable this to actually happen, but the Growth Fund investment made this possible for us and it’s helped to put us onto a very firm footing for even greater progression in the future. “We remain one of very few UK firms that specialise in this area of the law, and are recognised as a leading authority in a market that is continuing to evolve rapidly. “Our team has continued to expand in response to the growing demand for our services, and as we continue our drive towards becoming a truly national operator, we believe this trend will be sustained. “We advise many of the biggest names in the motor industry, as well as a growing number of major fleet operators, and have the resources in place to bring in further contracts from even more and bigger clients. Jane Siddle, Investment Executive at NEL Fund Managers, adds: “The Growth Fund was specifically designed to help North East businesses make a step change in their operations, creating new regional jobs and wealth along the way.